Dallas, Tx- Home of The Cowboys! Death knell of 11 year old Johnathan Ramsey. Johnathan Ramsey was the apple of nobody’s eye. In fact, he likely would have killed to have an actual apple. His Father Aaron and stepmother Elizabeth starved the young boy by feeding him military rations until he was so gaunt he could not even eat that. He began eating his own feces. According to police records, Aaron Ramsey confessed to limiting the boy’s meals to bread, water and sometimes milk, and confining him to his bedroom in the family’s Dallas home, the Dallas Morning News reported. The boy eventually stopped being able to walk and began to eat his own feces, police said. It was not until his paternal grandfather, Edward Ramsey, who regularly called to speak to Johnathan and request to see him, began calling police out of concern that ANYONE bothered to look into this child’s whereabouts. By March he was pretty clear he was getting the runaround and called detectives for help. Detectives think Johnathan has been dead since August after being slowly starved to death for about a year. Aaron Ramsey admitted finding his son lying “unresponsive” on the floor of his bedroom but denies causing his death. He said he placed his body in a sleeping bag and dumped it in the storm shelter of an empty house nearby. He later buried it in a wooded area. Aaron allegedly put him in his favorite t shirt and stuffed a dryer sheet in the sleeping bag to hide the smell. Aaron Ramsey is a veteran. He does not appear to have missed many meals, nor does his wife. I imagine a lifetime of three hots and a cot will cure the both of them of their ability to take from anyone ever again. 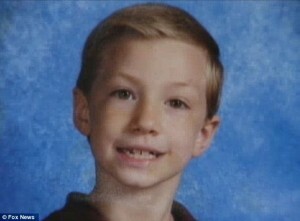 What is believed to the remains of young Johnathan Ramsey have been discovered and sent for autopsy. Police searching for the body of missing 11-year-old Johnathan Ramsey have found skeletal remains that appear to be those of a child or small adult in a rural creek south of Dallas. Johnathan had a brother, whom his Mother took to live with him in New Mexico when she divorced his Father in 2006. Talk about drawing the short straw. This kid did nothing but, it seems. Judy Ramsey Williams remarried and has not seen Johnathan in several years. Williams step mom Starla said it was not economically feasible given the 14 hour drive and Aaron was unwilling. 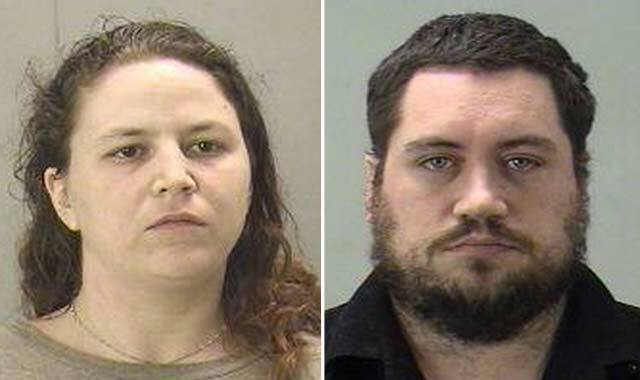 Aaron and Elizabeth Ramsey are currently facing felony injury to a child charges. If they are not upgraded to murder I know a few Texans.